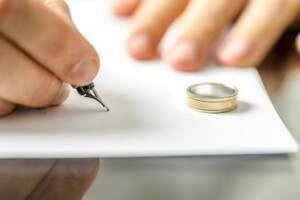 Increasingly divorce and family breakdowns are handled by specialist solicitors and advisors who are members of Resolution, an organisation that promotes good practice and ways of avoiding court during the process. We ensure that we remain aware of developments in this field by active participation in Resolution events. Forensic accountants become involved in these ancillary relief claims when the parties need an independent assessment of the value of a business which has implications on total matrimonial assets, where there are disagreements or uncertainty on the values attributed or on the availability of funds to finance payments. Our experts have prepared numerous reports and advices on the valuation of businesses that may be companies, partnerships or sole traders. More recently we have been in Court as an SJE on several cases involving property portfolios where it is not just the property values that need to be known but their interaction with the mortgages financing them to give a clearer picture of the net asset position and any problems that might arise on reorganising the portfolio. We have also worked with collaborative lawyers on disposal of business interests. We do not believe that valuations should be prepared solely using historic documents so expect to discuss the trading performances and changes overtime. We review Form E financial disclosures for completeness and consistency with supporting documentation. The Fraser Russell team have vast experience of handling complex divorce cases, often involving high profile businesses and high net-worth individuals. The valuation of a business, whether in divorce proceedings or as part of other litigation requires an excellent working knowledge of owner-managed businesses, the industries in which they operate and ancillary tax and financing issues that can impact a business and its owners. Contact us today or telephone on 0121 _647 5030 to find out how we can tailor a package to compliment your personal activities at a price that is guaranteed to be competitive. Although based in Birmingham, West Midlands, our Matrimonial Forensic Accounting services are used by clients throughout the whole of the UK and beyond. Don’t forget to subscribe to our Newsletter for all the latest updates and please feel free to interact with us via our Social Media sites and Blog.